I have mentioned before how the temperature difference between the top and bottom shelf in a caravan oven can be frustratingly far apart. Usually it is a nuisance but occasionally it can work in your favour when you have two dishes that need to be cooked at different temperatures. In this case I had chips that need a hot oven on the top shelf with the gammon at the lower temperature on the bottom. We were going to visit Stonehenge today but plans changed so I recreated it with chips. If you are going to do anything like this you need to make sure you have some square cut ends so at least some of your uprights will stand up. Food should not only be tasty but good fun too! 1. Put the oven on gas mark 6. 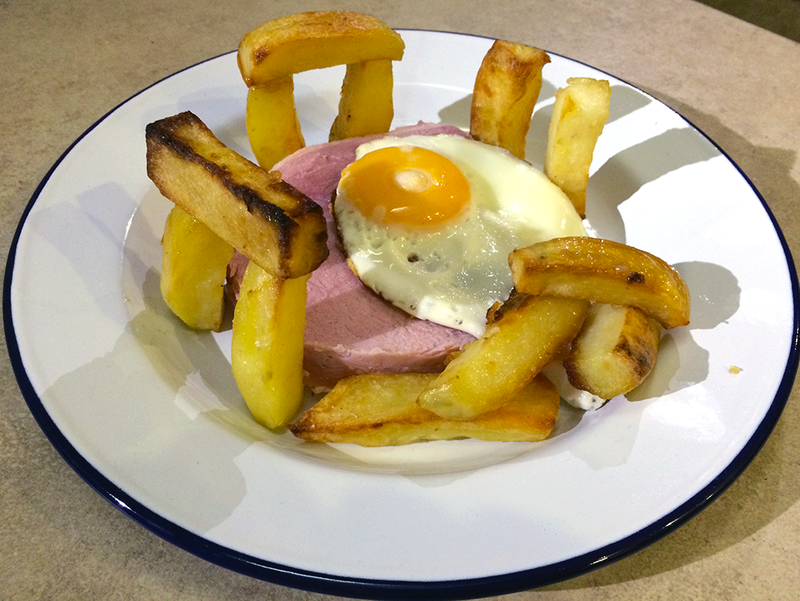 Cover the gammon loosely with foil and put on the top shelf for half an hour. 2. Turn the oven up to gas mark 8 and move the gammon to the bottom shelf. Heat some oil in a roasting dish on the top shelf. 3. Pop your chips into the hot fat and turn regularly until done (about an hour or so). 4. Remove the gammon from the oven and allow to rest for 10 minutes. 6. Slice the gammon and plate up!